“I’ve always loved the grocery store: rainbows of fruits, deli men who never deny the potato salad sample. But lately I’ve been disappointed. The reason is a sneaky substance called MSG, which hides not just in Chinese food, but also under multiple pseudonyms on both generic and organic shelves. If you look right now, I can almost guarantee you’ll find some form of it in your pantry. The root of my distaste for MSG goes deeper than physical health; I believe we’re supposed to understand what we read. About a year ago, I stopped having the ability to digest. I cut milk out of my diet, then gluten, wheat and sugar, alternately. Still, the post-lunch pain would settle every late afternoon. I had allergy tests done, CAT scans. The doctors smiled and said, “Everything looks good.” I felt like a faker, even though the stomach aches were so bad you could hear them. “Poison” is what he called it, after relaying testimonies of patients who’d “gotten off the stuff” and changed their lives. As though MSG is a drug. MSG, monosodium glutamate, is in most cheese powders, broths, dressings, and processed foods made with “natural flavoring.” That means it can be in the foods you eat for breakfast (cereal), lunch (deli meats), and dinner (flavored rice). It’s a neurotransmitter — meaning it sends messages to the brain that trick your tongue into believing you’re eating something high in protein, when you’re not. It’s a cheap soup’s best friend. MSG tastes like salty meat and counteracts the metallic-tasting residue left behind by some foods’ overnight sojourns in cans and freezers. It’s been linked to autism, obesity and chronic stomach pain. MSG is hard to avoid because it’s in practically everything, but also because its pseudonyms allow its proclivity to go largely unnoticed. MSG only has to be labeled as such if it’s 100 percent MSG. Soy lethicin, hydrolyzed soy, whey, or vegetable proteins, carageenan, furikake, and autolyzed yeast are all up to 50 percent MSG. Add a few of those tough-to-read names up and you’re at 100 percent, easily. Mass manufacturers (shamefully silent in the new film, “Food, Inc.”) would say MSG is a superhero of tastemakers: savory, delicious, invisible. People like me and worse — those who suffer racing heart rates, states of confusion, and migraines from their food — would call MSG an arch-nemesis. The laundry list of MSG literature and studies is long, but quiet: Scientists at the University of Madrid found a 40 percent increase in appetite in mice given MSG. A New York Times neuroscience article from February 2008 explains how imbalanced glutamate in the brain can lead to brain damage and schizophrenia. The International Journal of Obesity and Related Metabolic Disorders and the book “Excitotoxins: The Taste that Kills” by Russel Blaylock point out that MSG partially blocks the same receptor that’s fully blocked in cases of autism, Parkinson’s, and Alzheimer’s diseases. I found MSG’s exacerbation of asthma, IBS, and seizures corroborated by Dr. Jack Samuels of the Truth in Labeling Campaign and a long-forgotten episode of “60 Minutes” from 1992. MSG opponents also attest that aspartame, found in diet sodas and sugar-free gum, does the same destructive things, and still naysayers will claim it’s a hoax or we’d all be sick. So what about those who aren’t sensitive to either aspartame or MSG? And why had I never felt the effects of MSG until now? My first month MSG-free was extremely hard. Plan A was to be miserable about food for the rest of my life. I am an eater, by profession and by choice. Put the creamy soup with ham cubes in front of me and I’ll find the bottom. But soon I noticed that unprocessed food sent me to bed pain-free, and then realized I had been going to bed with a stomachache every night for a few years. I found farm-to-table restaurants (there are plenty in Denver). I bought unseasoned meat and beans in bulk, from places like Sunflower Market. I made potato- crusted salmon with rosemary focaccia, and switched to natural peanut butter. I cheated and ate three curly fries from Arby’s one weekend and about died in my boyfriend’s aunt’s bathroom. But, I realized, fast-food aside, that because MSG isn’t on the food pyramid, I could eat the same things as everyone else, just a little more raw, a little more real. The downsides are time and expense. After Guillory suggested I stay away from “boxes and bags” and eat foods with five or fewer ingredients, shopping takes forever. Idling my cart in the aisles as I scrutinize makes me feel a little snooty, but it’s necessary. I try to avoid the pastoral calls of pretty packaging, but my inclination is still to shop among the boxes. Eating well, like most important things, does not happen with ease. Long-term, if we continue to eat badly, we will continue to accrue astronomical health care and environmental costs, and I believe that the nation could save itself many miseries if we all knew what went in our mouths. MSG is known to trigger migraine headache, tachycardia, arrhythmia, seizures, asthma, nausea and vomiting, hives, skin rash, anxiety attacks, depression and much, much more in people who have become sensitive to it. It causes gross obesity and learning disorders in laboratory animals that ingest it when young. You can read about what it is, what it does, and where it’s hidden in food on our Web site: http://www.truthinlabeling.org. But now that spraying MSG ON agricultural products as they grow has been approved, ANY fresh food may have some residual MSG on it, and processed food made from fresh fruit or vegetables may have MSG in it, too. Baby food, largely free of MSG since the late 1970’s, will now have MSG in it. Processed food will now have more MSG in it than it did before. And there may be MSG residue on every tomato, cucumber, strawberry, leaf of lettuce, or peanut that you eat, as well as on every other fresh fruit, grain or vegetable. We think you should be concerned. This is a new EPA (U.S. Environmental Protection Agency) approval, effective February 6, 1998. We are asking that the approval be rescinded. Being told by the EPA that it is OUR responsibility to demonstrate that residue from spraying MSG on produce while it’s growing is a potential health hazard, and interpreting that to mean that the EPA will not look into the matter without extreme pressure, we have provided them more than sufficient material to demonstrate the MSG places humans at risk. We have also written to the producer, Auxein Corporation, informing them that their product is potentially toxic, and asking them to withdraw it from the market. But if no one but Jack Samuels lets the EPA know they don’t want MSG sprayed on food, the approval won’t be rescinded. And unless the producers, who must see millions of dollars in profits down the road, really didn’t know the product is harmful, or is scared silly by the threat of potential law suits, they might not be the least bit concerned. Whether or not you think that you, your parents, your children, your grandchildren or your animals (where reactions are most often manifested as skin rash) are sensitive to MSG, we can’t believe that anyone would want it sprayed on their food while it’s growing. If you would like additional information, please call or e-mail. Surface Mail will not be as efficient. July 22, 1998 — The U.S. Environmental Protection Agency (EPA) has been asked to rescind a recent action that allows processed free glutamic acid (MSG) to be sprayed on vegetation, including growing fruits and vegetables. In a separate letter, dated July 22, 1998, Auxein Corporation, Lansing, Michigan, has been asked to withdraw their product, Auxigro WP Plant Metabolic Primer (Auxigro), from the market immediately, and to notify farmers to stop using the product. 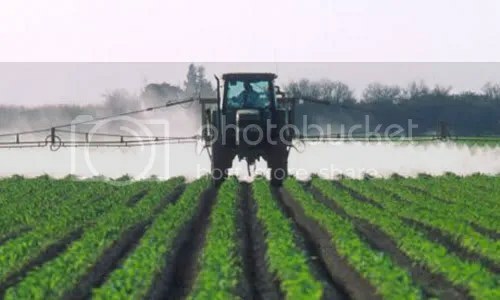 Auxigro, which contains approximately 30% MSG, may be sprayed, at times by airplane, on crops of snap beans, lettuce, peanuts, tomatoes, and potatoes. It’s use will soon be expanded to other crops, unless it’s use is stopped. It is acknowledged that sprayed fruits and vegetables that come to market may contain residual amounts of free glutamic acid. There is no reason to believe that the product will not also affect groundwater and drinking water. Concern was expressed by the Truth in Labeling Campaign (TLC) and its president, Jack L. Samuels, that the MSG residual on treated fruits and vegetables poses a danger to humans, farm animals, and wild life. TLC is a nonprofit organization concerned with undisclosed use of MSG in food. The EPA’s action has exempted glutamic acid from the requirement of a tolerance on all raw agricultural commodities, allowing the amount of MSG residue on fruits and vegetables to be unlimited (Sec. 180.1187 – Code of Federal Regulations) . Once again, the source for the above material. In the good old days, processed free glutamic acid (MSG) was hidden in cosmetics, drugs, vaccines, processed food, baby food, and infant formula. However, raw produce purchased at a market or in a grocery store used to be “safe.” But all that has changed. In 1997, a company called Auxein Corporation (now known as Emerald BioAgriculture) asked the U.S. Environmental Protection Agency (EPA) to approve spraying processed free glutamic acid (MSG) on all growing agricultural commodities including grass, nuts, seeds, fruits, grains, and vegetables. Auxein/Emerald BioAgriculture also asked the EPA to register their pesticide product called AuxiGro WP Plant Metabolic Primer (AuxiGro) as a plant growth enhancer for use to increase yields and the quality of crop plants and early ripening in certain vegetables. AuxiGro contains processed free glutamic acid (MSG). Testing of AuxiGro was approved by the EPA in September, 1997, and test crops that had been sprayed with processed free glutamic acid (MSG) were brought to market without telling consumers. By and large, individual states rubber stamped the EPA’s approvals. For those few exceptions, Auxein/Emerald BioAgriculture set in motion the processes needed for individual state approvals. At the same time, Auxein/Emerald BioAgriculture was working to secure organic certification for its AuxiGro and the processed free glutamic acid (MSG) contained in it. On January 7, 1998, processed free glutamic acid (MSG) used as a plant growth and crop yield enhancer was granted an exemption from establishment of a tolerance limit by the EPA — meaning that processed free glutamic acid (MSG) could be used as a plant growth and crop yield enhancer without restriction. The January 7, 1998 Final Rule sanctioned the use of unregulated amounts of processed free glutamic acid (MSG) (calling it “the biochemical glutamic acid”) regardless of how much processed free glutamic acid (MSG) residue might be left in or on any or all food commodities when bought by consumers — when the processed free glutamic acid was applied as a plant growth and crop yield enhancer. Shortly thereafter, the EPA began to approve AuxiGro for use on specific crops. By the time the Truth in Labeling Campaign became aware that the EPA had approved spraying processed free glutamic acid (MSG) on crops, it was too late to formally object to the 1998 Final Rule. On December 6, 2000, Auxein/Emerald BioAgriculture petitioned the EPA to remove all restrictions from use of processed free glutamic acid (MSG), and asked, also, that all restrictions be removed from a second neuro-active amino acid, Gamma Aminobutyric Acid (GABA). Both are used as active ingredients in AuxiGro. Prior to December 6, 2000, AuxiGro had been approved in California for use as a fungicide, but at that time, the EPA had not approved the processed free glutamic acid (MSG) in AuxiGro for use as a fungicide; the EPA had only approved processed free glutamic acid (MSG) for use as a plant growth enhancer. So this new broader approval was needed before California approval of AuxiGro for use as a fungicide could be finalized. In its December 6, 2000 petition, Auxein/Emerald BioAgriculture asked that there be no limits to the amounts of those chemicals when used on any food commodities for any uses regulated by the EPA. As required by law, the Auxein Corporation petition was published in the Federal Register. But the law evidently doesn’t require that the public be told what is being proposed, because when the EPA published the petition on December 6, 2000, they called it a “Notice of Filing Pesticide Petitions to Establish Tolerances for Certain Pesticide Chemicals in or on Food,” — never mentioning glutamic acid, L-glutamic acid, glutamate, monosodium glutamate, MSG, or GABA in the title. Without mentioning, in either the title or the summary, that those “Certain Pesticide Chemicals” were processed free glutamic acid (MSG) and GABA, and that the product in which they would be used was called AuxiGro. Needless to say, since no Federal Register search for “glutamic acid,” “gamma aminobutyric acid (GABA),” or “AuxiGro” would have identified the December 6 Notice, we were not aware that the December 6, 2000 EPA Notice had been published in the Federal Register until long after the time had run for commenting on the Notice. Clever, wasn’t it? Both Auxein/Emerald BioAgriculture and the EPA knew that we were vehemently opposed to use of processed free glutamic acid (MSG) on food crops and other plants. They both knew that given the opportunity, we would formally object to additional EPA approvals of use of processed free glutamic acid (MSG) and/or AuxiGro. So the Notice, that by law the EPA was required to publish in the Federal Register, gave no clue to the fact that it had anything to do with processed free glutamic acid (MSG) or AuxiGro. The Notice that was published on December 6, 2000 became a Final Rule on June 21, 2001. But unlike the Notice, and for reasons we may never know, the EPA used the words “L-glutamic acid” in the words used to describe the June 21, 2001 Final Rule, and a concerned consumer brought the Final Rule to our attention. Thus, for the first time, the Truth in Labeling Campaign had the opportunity to file a formal Objection to the use of processed free glutamic acid (MSG) on crops. The period for filing objections to the June 21, 2001 Final Rule ended on August 20, 2001. The Objection filed by the Truth in Labeling Campaign on August 20, 2001 with the EPA was an objection to the June 21, 2001 Final Rule: L-Glutamic Acid and Gamma Aminobutyric Acid; Exemptions from the Requirement of a Tolerance. It was an objection to the exemption granted to processed free glutamic acid (MSG) — which was then (and is) still being referred to as “L-glutamic acid” by Auxein/Emerald BioAgriculture and the EPA. The text of the June 21, 2001 Final Rule contains very little information, but refers the reader to the December 6, 2000 Notice. In turn, the December 6 Notice states that the petitions to establish tolerances for “certain pesticide chemicals in or on food” should be granted; saying only that supporting data were submitted with Pesticide Petitions 7F4842 and 7F4843, but not even alluding to what those data were. Thus, to see how the EPA excused itself in 2001 for feeding consumers to the glutamate industry while laying the groundwork for lining the glutamate industry’s pockets, you will have to go all the way back to the January 7, 1998 Final Rule. On June 21, 2001 the EPA published the Final Rule stemming from the December 6, 2000 Notice. The June 21, 2001 Final Rule says that unrestricted amounts of processed free glutamic acid (MSG) can be sprayed on crops and other plants — food crops — all crops — any crops — without any restrictions on the amount sprayed, on the amount that would remain on fruit, grains, seeds, nuts, and vegetables when brought to market, and without any restriction on the amount of processed free glutamic acid (MSG) that could have been taken up by the treated produce and be in those fruit, grains, seeds, nuts, and vegetables when eaten. The exemptions from the requirement of a tolerance were based on a series of unproved assumptions, on data from the 1970s that have long since been refuted, on a number of studies that are irrelevant to the safety of amino acids, and on short term acute toxicity studies that neither reflected the real world conditions under which the amino acids would be applied, nor considered their endocrine disrupting potential. In sanctioning the unregulated use of processed free glutamic acid (MSG) — which was then being calling “L-glutamic acid” — the EPA used words like “expected to be minimal;” “not likely to result in potential chronic exposure” and “exposure is anticipated to be negligible.” No relevant data from non-industry researchers were examined. Everything we see and hear from the EPA says that they have approved a toxin and endocrine disrupter that causes adverse reactions in MSG-sensitive people, for spray on crops — placing the health of every American at risk — with the greatest risk faced by fetuses, newborns, infants, children, and the elderly. By law, being faced with a formal and properly executed Objection to a Final Rule, the EPA is required to study the Objection and respond to it by producing a Final Order. It has been our observation, however, that the EPA does not always do what is required by law, so we made inquiry. In September, 2001, we asked and were told that the EPA was drafting a draft Final Order that should be available for review and comment approximately 6-8 months from that time — and that we would be notified when the draft Final Order was done. On July 30, 2002, we asked again when the draft Final Order would be available to consumers, and Janet Andersen, Ph.D., Director of the Biopesticides and Pollution Prevention Division (BPPD), told us they were working on it and would let us know as soon as they had a draft for distribution and comment. Let there be no mistake. Today, we know of no crop that has not been approved for spray with processed free glutamic acid (MSG) by the EPA. The EPA has approved the use of processed free glutamic acid (MSG) and the use of AuxiGro, a product that uses processed free glutamic acid (MSG) and GABA as active ingredients. Those approvals remain in force, and those products will continue to be used, even though objections have been filed protesting them. Those chemicals have been used, and will continue to be used without restriction in accordance with the June 21, 2001 Final Rule in every state except California unless the EPA withdraws its approval of the June 21, 2001 Final Rule. The Truth in Labeling Campaign has asked the EPA to do that. Federal Register notices chronicling the application and approval of processed free glutamic acid (MSG) are available on the Internet via GPO Access, the Federal Register, through: http://www.access.gpo.gov/su_docs/aces/aces140.html Copies of a number of the EPA’s Notices and Final Rules have been included on this Web site. – Even the FDA admits that the food additive “monosodium glutamate” contains processed free glutamic acid. What’s wrong at the EPA? Neither the EPA nor Janet Andersen, Ph.D., director of the Biopesticides and Pollution Prevention Division (BPPD), are stupid. Rather, all evidence would appear to suggest that the EPA, which is charged with protecting the health of Americans, says it is protecting the health of Americans, when in fact the EPA acts to protect the bottom line of big business. Don’t think for a moment that MSG is the only toxin unleashed on the American public by the EPA. Let the words “methyl parathion” and “DDT” jog your memory. The EPA, in granting the chemical referred to as “L-glutamic acid” an exemption from the requirement of a tolerance for residues of “L-glutamic acid” on all food commodities when applied/used in accordance with good agricultural practices (thereby allowing unrestricted amounts of processed free glutamic acid (MSG) residue to remain in and on any and all food crops that come under the EPA’s jurisdiction) violated Section 408(c)(2)(A)(i), Section 408(c)(2)(ii), Section 408(c)(2)(B), and Section 408(b)(2)(D) of the Federal Food, Drug, and Cosmetic Act. Neither “L-Glutamic Acid and Gamma Aminobutyric Acid; Exemptions from the Requirement of a Tolerance; Final Rule” (Federal Register June 21, 2001) nor “Glutamic Acid; Pesticide Tolerance Exemption; Final Rule” (Federal Register January 7, 1998), which preceded it, met the criteria established by law for granting exemptions from the restriction of a tolerance. How did spokesperson Andersen excuse the fact that the EPA approved processed free glutamic acid for use in an EPA approved spray? First, said Andersen, the free glutamic acid used in the spray is naturally occurring, and it’s 99.3 per cent pure pharmaceutical grade L-glutamic acid. Yet, in admitting that the free glutamic acid in AuxiGro is not 100 per cent pure L-glutamic acid, and that it is pharmaceutical grade, Andersen contradicted herself, and actually made the point that 1) if the free glutamic acid used in AuxiGro were truly natural, it wouldn’t be “pharmaceutical grade;” and 2) if the free glutamic acid used in AuxiGro were truly natural it would be 100 per cent, not 99.3 per cent pure L-glutamic acid. Andersen said something else very interesting. She said that the EPA is well aware of the fact that MSG causes adverse reactions. However, when Andersen used the term “MSG” she was referring to the one food ingredient called “monosodium glutamate,” and not to the free glutamic acid in “monosodium glutamate” that causes adverse reactions. Failure to define terms, as Anderson did (and does) so handily, is both deceptive and misleading. What Andersen did is very clever. What she said makes no sense at all. No one has ever claimed that the processed free glutamic acid in AuxiGro comes out of a box labeled “monosodium glutamate.” So for her to say it doesn’t, is meaningless. On the other hand, the claim has been made that the free glutamic acid in AuxiGro will cause the same brain lesions, neuroendocrine disorders, adverse reactions and other diverse disease conditions that are caused by the free glutamic acid in “monosodium glutamate” and the other food additives that contain processed free glutamic acid. That claim is true, but Andersen does not address it. How do you refute someone who ignores legitimate questions and spews out irrelevant statements as though they pertained to your legitimate questions? You don’t. The EPA defense of its approval of use of processed free glutamic acid in plant “growth enhancers” and its registration of AuxiGro has two parts to it: 1) ignoring those who question EPA actions, and 2) making the irrelevant statement that AuxiGro does not contain MSG (monosodium glutamate). The EPA, which approved the used of processed free glutamic acid in plant “growth enhancers,” made a grievous error. But instead of recognizing and remedying that error once it was pointed out to them, the EPA began a cover-up. That cover-up included use of ambiguous words and phrases, half-truths, and downright lies told to consumers. The cover-up continued (and continues still) with a variation of those ambiguous words and phrases, half-truths, and downright lies told to legislators who inquire about spraying MSG into the environment. The nice looking photos in the stories above are from cropcareequipment.com Of course there are valid reasons for using spraying equipment with organic or biodynamic crops, such as to spread the 500 and 501 preparations, also known as horn-manure and horn-silica. Crop care equipment’s sprayers sure do look pretty and they have nice photos of them on their website. Tagged as crop sprays, danger, health, Megan Nix, MSG, public health, risk, U.S. I am very upset with the above article regarding MSG/free glutamic acids being sprayed on crops. I am VERY sensitive to them and have been hospitalized on 2 occasions. I had had many undiagnosed severe attacks, until just recently realizing they were caused by the foods, drinks, and meds I consumed. Now, I read that it is sprayed on fruits and vegetables. I am furious that the EPA has approved toxins that are slowing killing brain cells, thus human beings.PLEASE do something-remove poisonous toxins from our foods. Our children and babies are even more at risk as these toxins are continually increased. I just finished reading the article on the use of MSG, which contains free glutamic acid, being sprayed on our fruits and vegetables and feed to our animals in their grain, it’s in the air and possibly contaminating our ground water, which infuriates me. I am severely affected by MSG. One bite of anything that has MSG in or on it causes me to go into anaphylatic shock instantly. My doctor told me if I have another episode, one of three things could happen to me; I could have a massive heart attack, a massive stroke, or drop over dead! I must now carry an EpiPen at all times. If these people don’t think MSG can cause serious problems, they need to think again and take these complaints seriously. I would suggest you do research on how many people in the USA are allergic to MSG and it’s by-products.